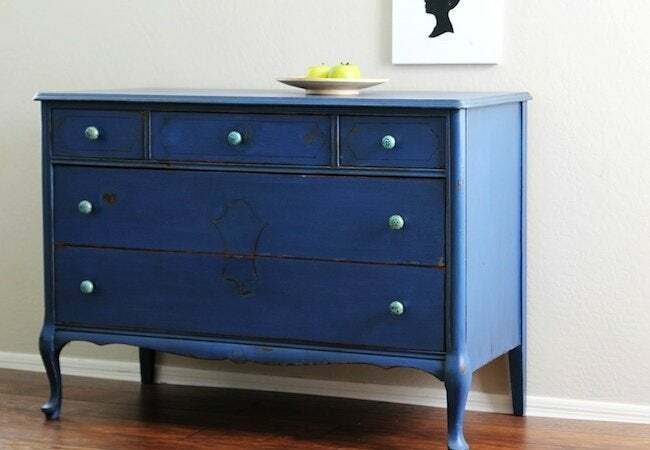 If you love the beauty of antique painted furniture, you can re-create that same pigment-rich, matte-finish look with milk paint—that you can make yourself. Everyone knows that milk does a body good. But were you aware that milk also works wonders for walls and furniture? Yes! It’s the main ingredient in a finish aptly known as milk paint. A viable and sometimes preferred alternative to water- or oil-based products, nontoxic milk paint delivers a matte look that mimics the appearance of a seasoned, decades-old paint job. It can be found online or in stores, but with the following milk paint recipe, you can easily make your own. Start by curdling the milk. You can do so in virtually any container; use whatever you have at ready disposal, be it a sauce pot or a frying pan. Pour in the liquids, using a half-cup of lime juice for every quart of skim milk, then wait. The curds must be allowed plenty of time to separate. Let the curdling milk sit overnight at room temperature. 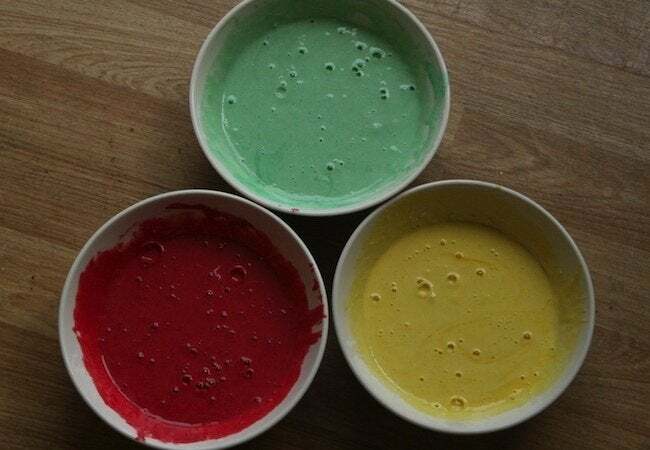 Tie cheesecloth over a large mixing bowl or a sieve. Next, pour the curdled milk into your chosen receptacle. 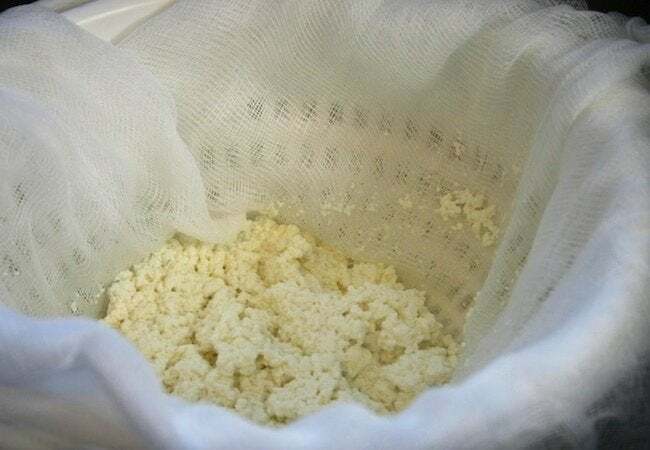 Watch as the cheesecloth separates the whey from the curds. 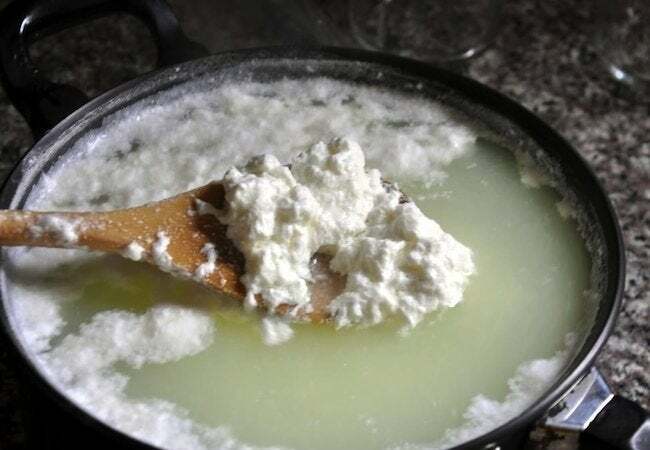 Once they are strained, rinse the curds in water, then keep them moist. If the curds get too dry, your milk paint is liable to end up being gritty. 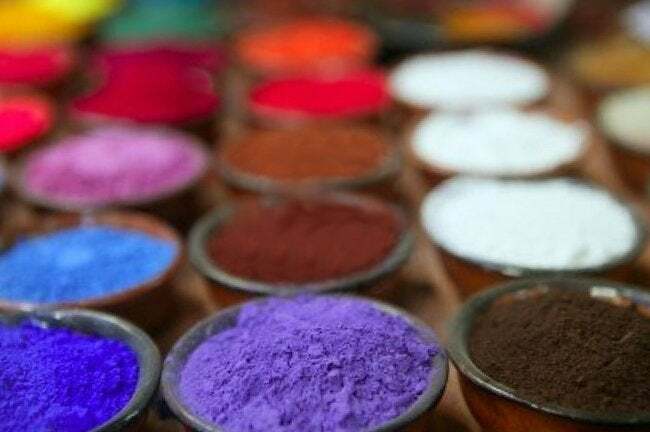 Having chosen the pigment you like best, add a sprinkle of the powder to the curds, then stir. Remember that the more pigment you use, the darker your milk paint is going to be. As a precaution, wear a dust mask when handling pigments; even the natural variety contains airborne particles that can irritate the lungs. Any porous surface (including wood) accepts milk paint. Because the stuff lightens a bit once it’s dry, a few coats may be necessary in order to get the color you want. Most important, waste little time before using the milk paint; it spoils within only a few days. And if you’re painting outdoors—or live somewhere with high humidity—it’s strongly recommended that you protect the paint job you’ve worked so hard to complete with a coat of water- or oil-based polyurethane sealer.